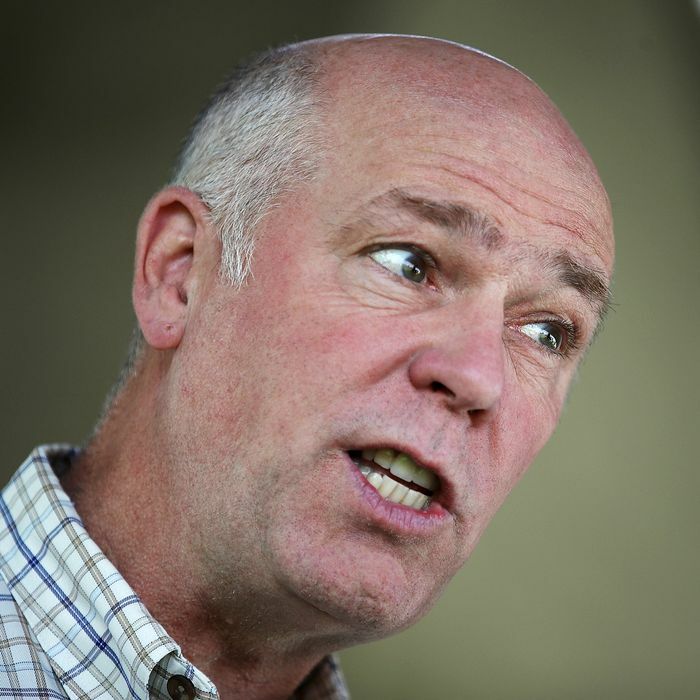 Body-slamming a reporter has worked out pretty well for Greg Gianforte. On Monday, a Montana judge sentenced the congressman-elect to 40 hours of community service, 20 hours of anger-management classes, and a $385 fine for assaulting Guardian reporter Ben Jacobs. The day before last month’s special election in Big Sky Country, the Congressional Budget Office announced that Trumpcare would throw 23 million people off of health insurance. This was a problem for the GOP’s House candidate. Gianforte had made it through the entire campaign without taking a position on his party’s (deeply unpopular) health-care bill. He’d achieved this feat by insisting that he couldn’t judge the legislation’s merits until the CBO released its findings. But now the pointy-headed bureaucrats had spoken. And a reporter from the Guardian was standing in his office, imploring him to tell the public whether or not he supported Paul Ryan’s plan to finance a large tax cut for the rich by condemning thousands of nonaffluent sick people to preventable deaths. Gianforte considered his options. He could buck his party, disappoint his base, and distance himself from a bill that was certain to hurt working-class Montanans. He could defend Trumpcare’s good name against the CBO’s defamation. Or, he could body-slam the reporter while yelling in rage, in front of several horrified witnesses. The would-be congressman chose door number three — and this has proved to be a sound decision. By letting his fists do the talking, Gianforte succeeded in winning election to Congress without ever taking a public stance on the most contentious issue facing that body. Not only did voters forgive his assault — they may have even rewarded him for it. Since his victory, GOP strategists have suggested that the best way for Republican candidates to mobilize conservatives in 2018 will be to attack the media (figuratively speaking). And now, it appears that the legal costs of Gianforte’s gambit are only marginally higher than the political ones. Community service and anger-management classes may even provide the congressman some political and personal benefit. And Greg Gianforte can find $385 in his couch cushions — the multimillionaire has already pledged to donate $50,000 to the Committee to Protect Journalists. In other news, Santa Fe Reporter staff writer Aaron Cantú was indicted on felony riot charges last week. Cantú was arrested on Inauguration Day, when he and six other journalists covering the demonstrations were mistaken for violent protestors. He now faces 75 years in prison.